I suspect this may have been from the sale of the house at 633 W. Hancock. It is dated 94-8-12, which I assume is 8/12/94. 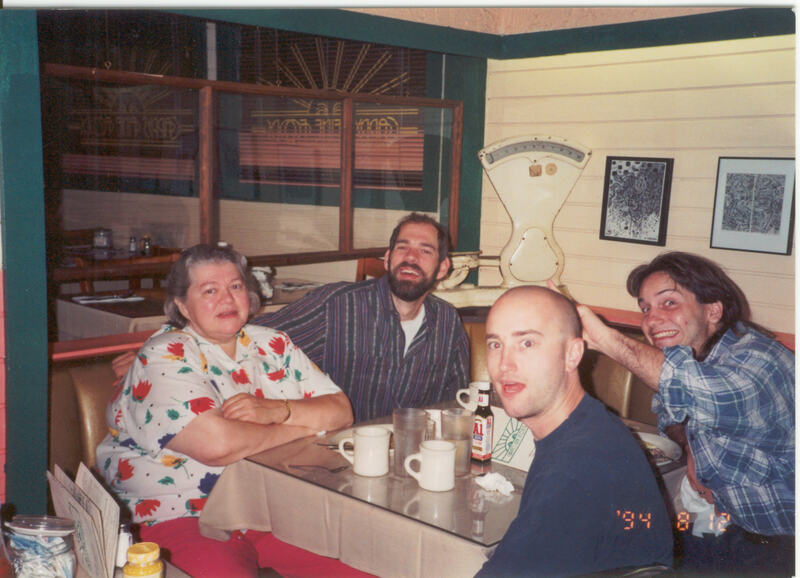 From left to right, Marilyn Ashley, Dave Ashley, Lewis Horn, and Todd Henderson. Local time on the server (at the time this page was served) is 9:56:51 pm (America/Detroit) on April 24, 2019. This page required approximately 0.00s (0.00s system, 0.00s user) of CPU time on the server to generate. This page is maintained by David T. Ashley.